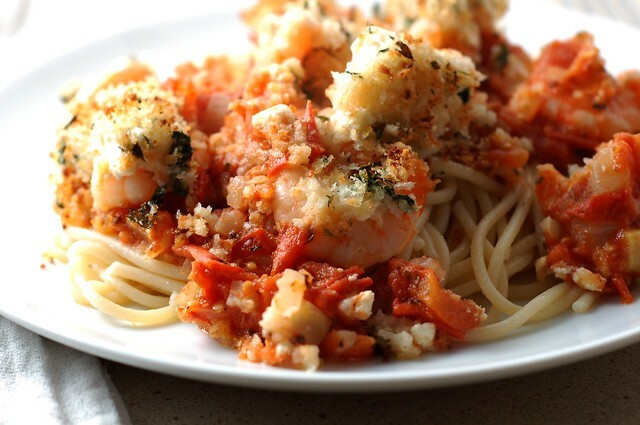 There's something magical about this meal -- a rich, fennel and garlic-scented tomato sauce topped by a layer of shrimp, lemony bread crumbs and little chunks of salty feta cheese. You bake it all in the oven until everything gets piping hot, melty and browned, then serve it over a pile of spaghetti. The flavors manage to be both complex and comforting at the same time and it's filling and warming. 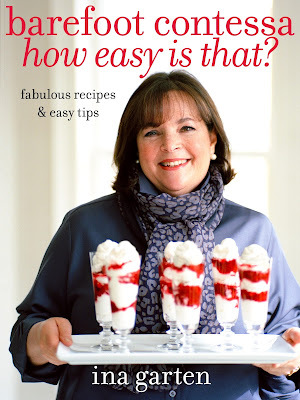 I learned about it from my friend, Kali, who found it in Ina Garten's Barefoot Contessa, How Easy Is That? I don't own this book yet but if the other recipes in it are anything like this one, I need to get a copy. You start with the sauce. We happened to have quite a lot of fennel growing in the garden that needed to be picked before the first frost. 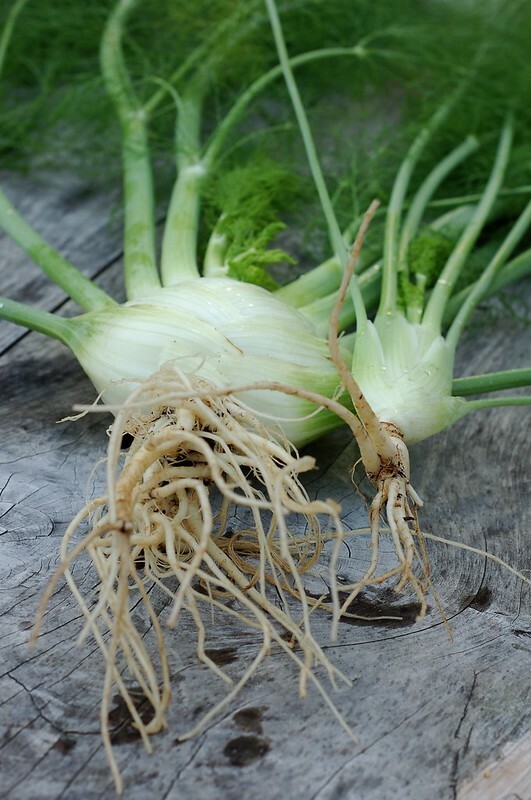 I love fennel's feathery, licorice-scented fronds and saved them for use in salads. You chop the bulb up and it lends a lovely anise flavor to the tomato sauce. Trust me, it goes beautifully with the feta and the shrimp. 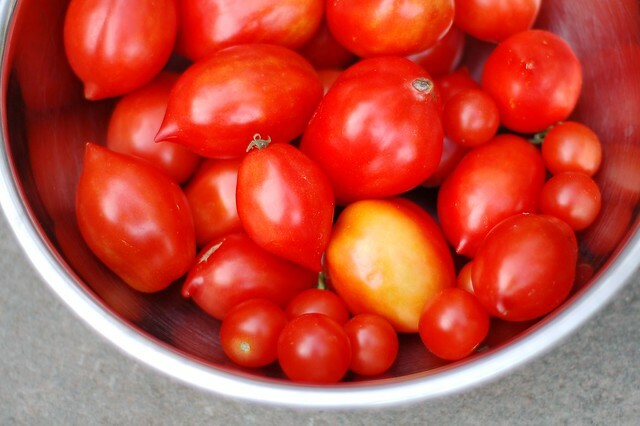 I was fortunate in that our garden also provided the tomatoes for the sauce. Lots of ripe Romas and cherry tomatoes. But you can use a jar of chopped or whole tomatoes, too. I try to avoid canned tomatoes because there is still no way to avoid BPA in those cans - more info on how to find BPA-free tomatoes here. Sauté the fennel and garlic until softened then deglaze with white wine and add the tomatoes, herbs and other flavorings and let it simmer for a little while. While it's cooking, prepare the breadcrumbs which are speckled with lemon zest and parsley and made rich with melted butter. You can either cook this dish in the same skillet you made the sauce in (assuming that it's ovenproof) or transfer it to a baking dish. 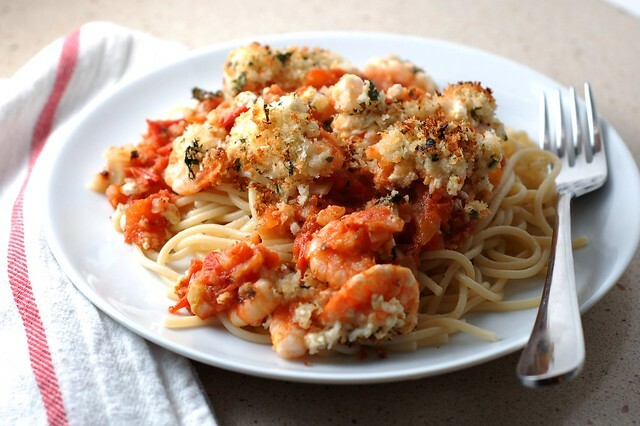 Top the sauce with the shrimp, scatter the feta over them and top with the lemony breadcrumbs. Then bake it until the top is nicely browned - about 15 minutes. Serve over pasta with a vegetable side or a green salad. Delicious, warming and filling in the best sense of the word. 1. Preheat the oven to 400 degrees. Heat 2 tablespoons of the olive oil in a 10-or 12-inch heavy ovenproof skillet over medium-low heat. Add the fennel and saute for 8 to 10 minutes, until the fennel is tender. Add the garlic and cook for 1 minute. Add the wine and bring to a boil, scraping up any browned bits. Cook for 2 to 3 minutes, until the liquid is reduced by half. 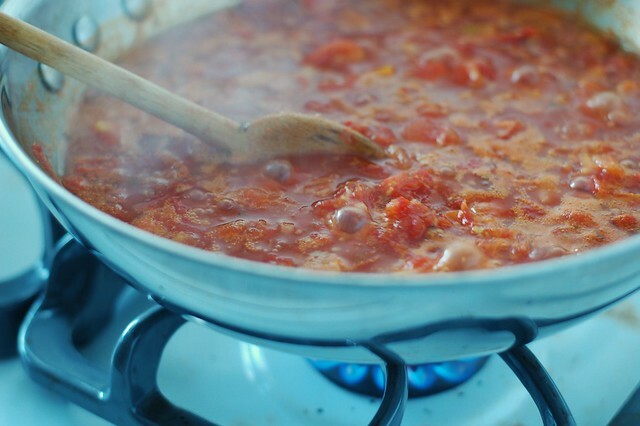 Add the tomatoes with the liquid, tomato paste, oregano, Pernod, salt, and pepper to the skillet. Simmer over medium-low heat, stirring occasionally, for 10 to 15 minutes. 2. Arrange the shrimp, tails up, in one layer over the tomato-mixture in the skillet. Scatter the feta evenly over the shrimp. 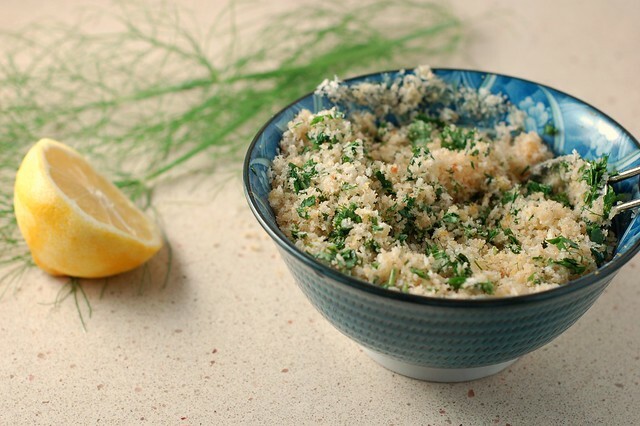 In a small bowl, combine the bread crumbs, parsley, and lemon zest with the remaining 2 tablespoons of olive oil and sprinkle over the shrimp. 3. 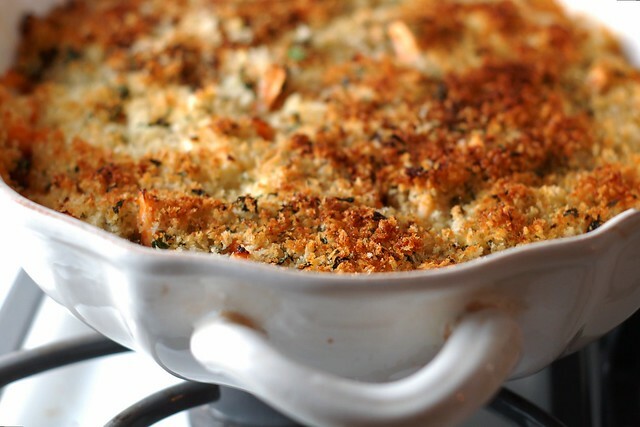 Bake for 15 minutes, until the shrimp are cooked and the bread crumbs are golden brown. Squeeze the juice of 1 lemon over the shrimp. Serve hot over pasta with the remaining lemon cut into wedges.